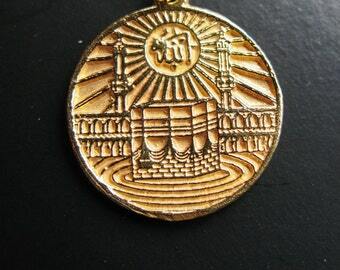 Say: Call upon Allah or call upon the Beneficent God (al-Rahman); whichever you call upon, He has the Greatest Names." 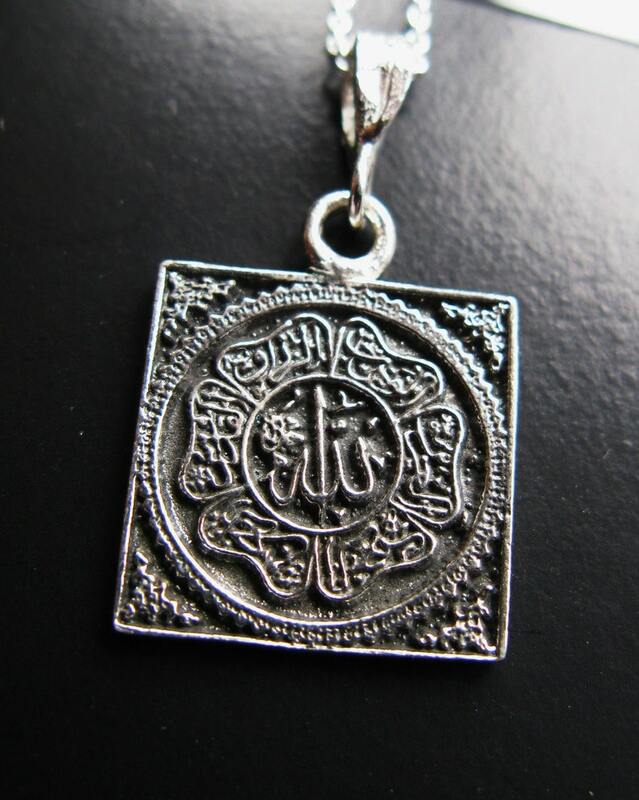 (Qura'n, 17:110) To Allah belong the Greatest Names; therefore, call on Him thereby, and leave alone those who violate the sanctity of His Names..."
This would be a great Eid gift. 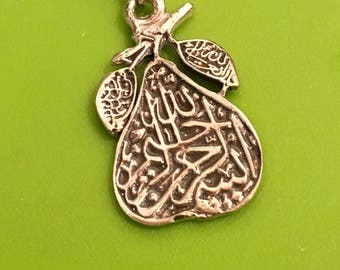 Pendant is about 1" by 1 and has a lovely flower design with the script written within. 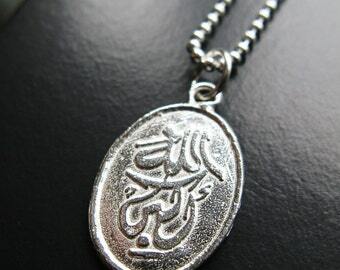 Suspended from 16" chain with round clasp. I am happy to use a 24" ball chain for men upon request, for a $15 additional fee.